Ideal for drilling holes in steel, the magnetic drill allows you to drill horizontal, overhead, in tight areas, and out over another piece of steel with ease. 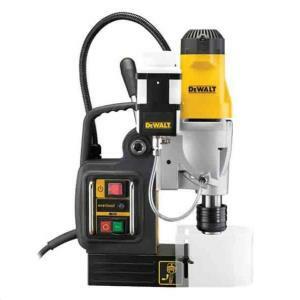 The drill features rear mounted controls, positive slug ejection, one stroke lock and unlock handle, and it allows you to precisely line up your pilot with the holes center location. * Please call us for any questions on our drill magnetic rentals in Hillsdale and Ridgewood NJ.